James Beard Foundation Recognizes Jewish Delis! This is my little shout-out to Jewish delis! Yahooooo! 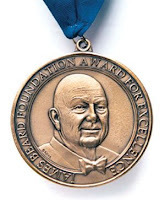 The James Beard Foundation Awards (which, for those who don't know, is like the Academy Awards in all categories of food) just announced its nominations for 2010 and various food-related books and TV shows and radio shows and people are being written up and congratulated all over the Internet. Some more often than others, maybe because they're trendy or familiar. The LA food scene is celebrating nominations of several Los Angeles chefs and writers. You can view all nominations by downloading this pdf. But honestly, what excited me most when I read the nominations, was the JBF Awards nomination for Save the Deli by David Sax. I remember when this book first came out and I was thrilled that someone would dedicate his life, at least temporarily, to researching delis across America and even the world. Sounds like a tough (read: awesome) job, but someone's got to do it! And we're talking about a guy who's totally and utterly obsessed with delis. There could be no better person for the job. He has traveled to Montreal, Paris, London, even Poland, to find the best pastrami on rye. He visited the classics in the states, from Katz's in New York, to Langer's in LA, to Corky and Lenny's in Cleveland (which, by the way, is fabulous. You must try their corned beef on latke sandwich!). 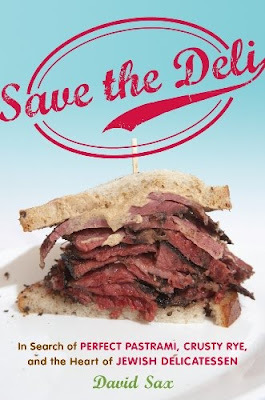 Save the Deli is a space dedicated to the preservation of the Jewish delicatessen, a hallowed temple of salted and cured meats. The past half century has seen the deli’s numbers decline greatly, in New York, across the USA, in Canada, and Europe. Those that remain are endangered and in need of our support. Though the challenge is arduous, and the deli’s foes are many, we will persevere. Take a look at this trailer Sax put together for the release of his book last year. It just makes you love him a little more! Do you know what it's like to be blown away by kishke? It's akin to a religious moment; your mouth is so in love with this crackling fat-stuffed sausage that it floods your brain with endorphins. It's a watershed event. I'd love for you to experience that. So David Sax, if you're reading this, I just want to give you a big hug and congrats. You are keeping deli on the map. I hope you nab the JBF Award when they announce the winners May 2nd, but the nomination is already a fantastic start! Here's to pastrami on rye for generations to come. I love Jewish Delis. I loved the book. I actually have been fortunate enough to have visited a couple of those delis listed the book which is no small feat living in Houston, Texas. Thank you for sharing your post on Jewish deli's.